How To Make Your Hair Less Oily - 8 Super Tips! Greasy hair is one of the many annoying issues that accompanies the monsoons, humidity and summer heat. This basically means you have to suffer from oily locks pretty much all year round in India! While there is little we can do about the weather, we can train our hair to produce less oil over time. 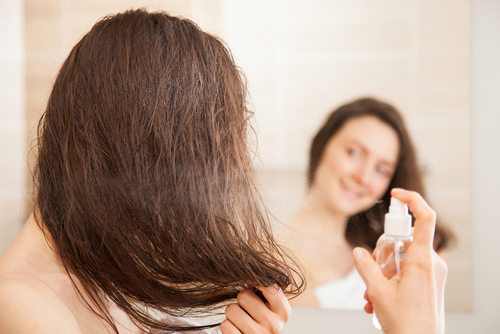 Adopt these habits to keep your locks grease-free and oh-so fresh! This may sound weird, since grease is probably the reason you need to wash your hair more frequently. Well, in reality, washing your hair daily can strip it of natural oils, which triggers the scalp to produce even more oil to compensate. Stick to washing 2-3 times a week. In between washes, use a dry shampoo to keep your locks grease-free and voluminous. It soaks up the oil on the scalp, refreshes dirty and limp locks and reduces the need to shampoo so often. BBlunt’s dry shampoo as well as Batiste are super! Always use conditioner only on the ends of your hair. The oils produced by the scalp are sufficient to keep the roots moisturised. The oilier your scalp gets, the more you want to keep conditioner far away from it. Also read: 10 *Other* Uses For Your Conditioner You Didn’t Know About! Brushing too little can cause the oils to accumulate at the scalp and over brushing can further stimulate the oil production. Figure out the right amount for your hair as it differs greatly from person to person. 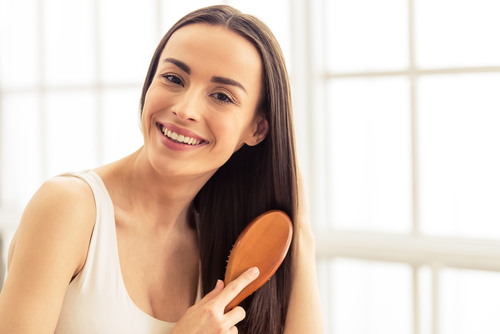 Brushing just the right amount will distribute your scalp’s natural oils evenly across your strands. All the dirt, oils and cream residue from your hands gets transferred onto your hair and causes it to become greasy and weighed down faster. Try to keep your fingers off and your hair away from your face as well. Straighter hair tends to stay closer to your face than curly hair does as it has lesser volume. This causes the oils from your face to transfer onto your hair, making it greasy. 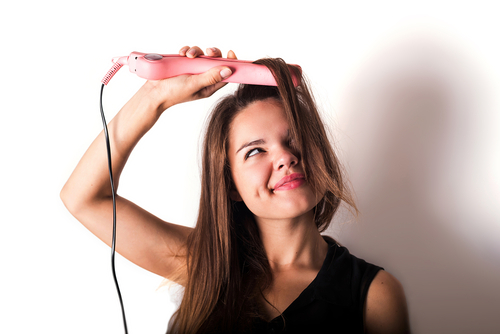 Plus, the heat involved in straightening can cause the scalp to produce more oil as well. Also, it’s easier for oil to spread across straighter strands than with curls. Pick hair products that are free from silicones and heavy oils which weigh your hair down and make it greasy. Stick to light sprays and avoid heavy mousses and creams. Also read: The BEST Shampoos For Oily Hair – Yes, We Found Them! When your hair is loose, it absorbs dirt and pollution more easily, which will make it dirtier and greasier faster. Pull your hair back into a ponytail and you may notice that your hair stays fresher and oil-free for longer. Images: Shutterstock A place where girls can talk about ANYTHING. (No guys allowed!) ? ? Get the POPxo app NOW on Play Store and iOS App Store.